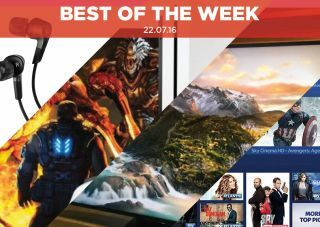 Best of the Week: The end for VCR, Xbox One S release date, Sony 4K TVs and more | What Hi-Fi? This week Microsoft revealed that the Xbox One S will be arriving earlier than expected, Sony unveiled a new premium range of 4K HDR televisions and Japanese electronics manufacturer Funai has announced it will cease production of the mighty VCR, the last company to do so. In terms of reviews, highlights came in the form of Sony's BDP-S6700 budget Blu-ray player, B&O's stylish BeoPlay H3 ANC in-ears and Yamaha's powerful RX-V581 AV amplifier. Sony has introduced more TVs for 2016, its line-up now features the 4K HDR Bravia ZD9 range. Sony claims the new and improved technology in the ZD9s will produce better detail, colour and contrast. The range features 65in, 75in and 100in versions. The latter is available for an astonishing £60,000. Thought VCR was dead? Well, it wasn't... but it soon could be after Japanese manufacturer Funai, the last company still making VCRs, announced it would end production for VCR units later this year. Fare thee well, we will miss the constant fiddling with the tracking button to get a better image. We initially thought the Xbox One S would arrive at the end of August, but Microsoft has now confirmed a 2nd August release date. The updated console is 40 per cent smaller than the original, has an Ultra HD Blu-ray drive, 2TB storage and HDR compatibility. "Yamaha is due a comeback, not least because the RX-V581 is a beast of an amplifier"
Recently Denon and Sony's budget receivers have edged past Yamaha's. That may no longer be the case with the RX-V581. This is a powerful, exciting AV amp, with a large-scale, punchy sound. You also get HDR/4K compatibility as well as Dolby Atmos and DTS:X. There's plenty of competition in this market and the Yamaha isn't fazed by any of it. "Like most B&O products, the Beoplay H3 earphones certainly don’t scrimp in the design stakes"
The B&O H3 ANC in-ears have plenty of style, but what about the sound? It's solid and full of detail, though we'd like to hear a bit more attack. They're also a little too subtle when it comes to noise-cancelling, dulling rather than blocking sounds. Overall, it's a good effort but it just falls short of five-star status. "With the BDP-S6700, Sony has proved once again that it knows how to play the budget market to a tee"
To all intents and purposes the S6700 Blu-ray player looks distinctly ordinary. But it delivers outstanding performance for an affordable price, with excellent picture quality and plenty of useful features. If you're not going 4K, this is an impressive alternative.